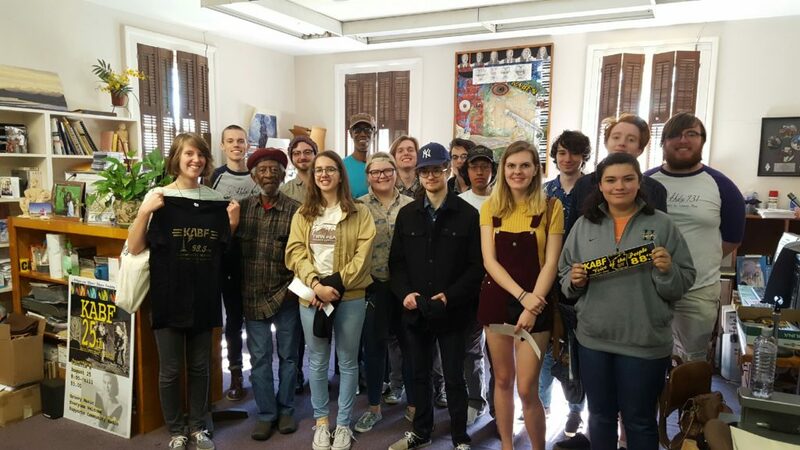 This past weekend, the staff and DJs of KHDX had the opportunity to do something that at first may sound run of the mill: visiting a community radio station. This wasn’t just any community radio station, though. KABF, for those not familiar, is one of the few remaining 100,000-watt community radio stations in the United States, originally founded by ACORN in 1984. It’s accessible not just in Central Arkansas (88.3 on your FM dial), but around the world, and it enjoys a devoted fan base from Little Rock to London, Paragould to Puerto Rico, and a whole lot of other places. However, it’s not just the wattage or fanbase that made this trip inspiring for us, but the people we got to meet: John Cain and Toney Orr. John Cain, to put it simply, is a living radio legend. Starting as a volunteer upon the station’s founding in 1984, he now serves as the Program Director, but his work goes well beyond his title. He’s known throughout community radio circles for his extensive work with KABF. Getting to listen to him talk about what all he’s done and the work that it takes to make a station like KABF not just sustainable, but truly beneficial to the community, was really an honor and inspiring to us as we work at our own radio station, serving our own community (albeit at one ten-thousandth the power). Toney Orr was also a pleasure to talk to, as he serves as the President of the Board for KABF. In his job as a union organizer, he has had the opportunity to travel and talk about KABF with people from around the world, and it was fascinating to hear how KABF has been able to develop their presence not just in Arkansas, but around the world. To visit KABF was a great privilege for us. 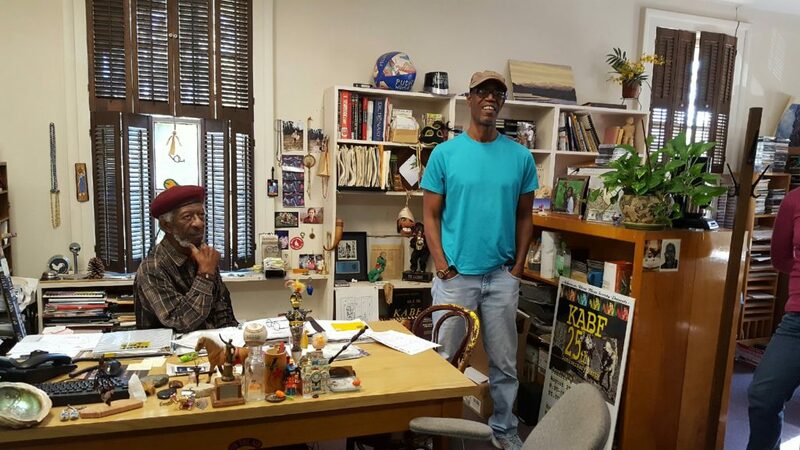 It was inspiring to see how two veterans of the radio trade had helped to build one of the great community radio stations of the United States, and how they work to always serve the needs of the community, both musically and pragmatically. And while some of us may volunteer at the station, some of us may donate, and some of us may simply spread the word, I think I can safely say that we learned more than a thing or two from our trip, and we are certainly thankful for the opportunity to visit. Religious Studies major, Computer Science minor, working to be an ordained minister and prove that you can have fun along the way. Oh, and I also run this station.